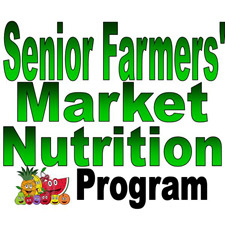 Senior Farmers’ Market Nutrition Program Applications will be accepted between July 1st and 3:00 PM July 17th. One application per household will be accepted and entered into a raffle drawing. To submit an application, one must be low income, an Ohio resident, 60 years of age or older and living in a zip code served by the agency (44112, 44118, 44121, 44122, 44124, 44143). Detailed information and instructions can be found here and in the July Newsletter and the application is available here as well as in our main office at the South Euclid Community Center, 1370 Victory Drive in South Euclid. If you live in an apartment building, you can also check with your service coordinator for applications and instructions.